This, ladies and gentlemen, is my 'thing'. A chum sent me a link to a humorous story about having a 'thing' - an item which a person is intrinsically linked to. 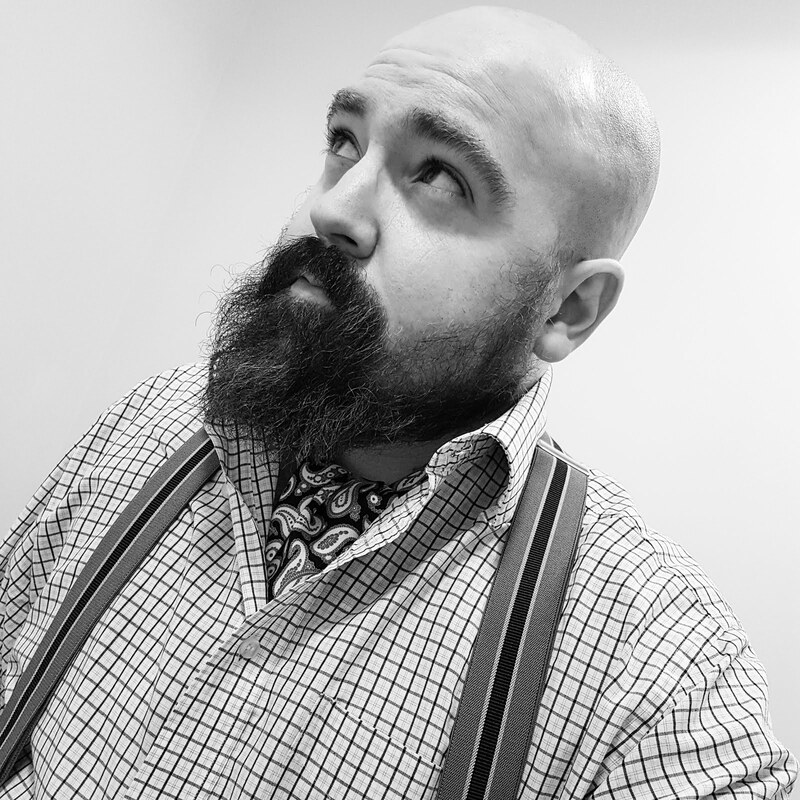 So Sir Winston Churchill and his polka dot bow tie or John Steed and his whangee umbrella. 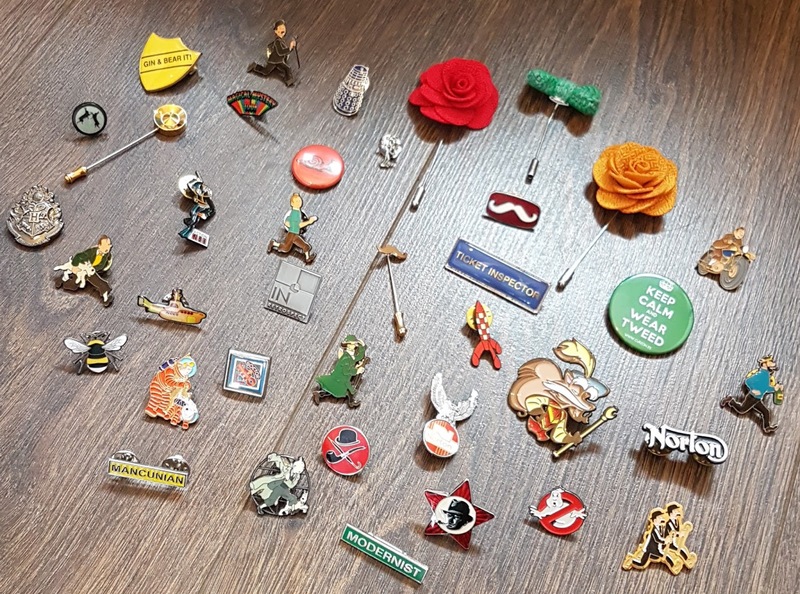 I was convinced that I could never commit to having my own thing but a week or so later and I realised; my thing is lapel pins. What I like about pin badges is simply how fun they are. They add a little extra flourish to an ensemble, and reveal a little about your personality too. Many a conversation has been struck over one. 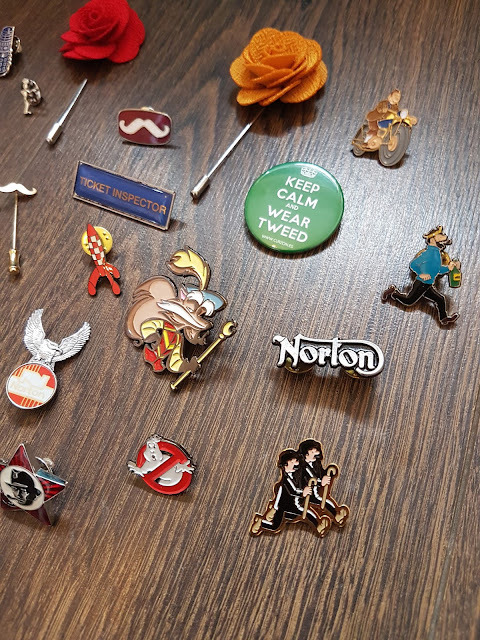 I have an almost obscene collection of Tintin pins, all accumulated with gusto across 2017. A number of them have been gifts too. Apparently, I'm difficult to buy for (which I dispute) but some very kind people have been coming across badges on their travels and buying them for me. As a young boy, I remember being fascinated with some badges that my father had. Many were Manchester United ones. I must ask him where they are now. As the collection continues to grow, I'm going to need to find new ways of storing them. Now there's a challenge. Those are excellent - I love Sir Didymus. One thing some people with a lot of brooches do is get a picture frame and replace the glass with padding, so they can pin their brooches in the frame. If you did something similar but stretched ribbon over the padding, you could pin your pins to the ribbons.